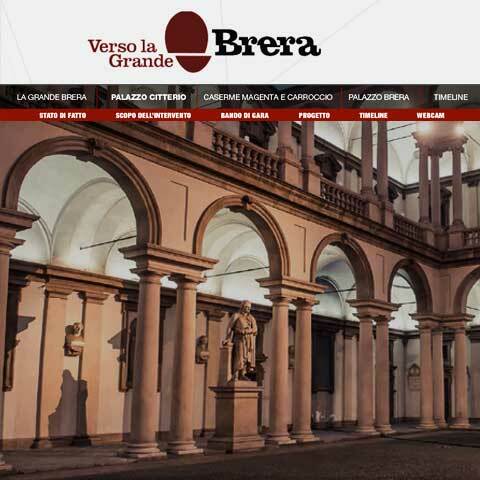 The “Grande Brera” advances. Thursday, July 24th, 11 am, in the Palazzo Litta, the Regional Director for the Cultural and Landscape Heritage of Lombardy, Caterina Bon Valsassina , illustrated the project on line to tell and monitor the status of the work for the restoration and re-use of Palazzo Citterio, the via Mascheroni project and the covers of Palazzo Brera. We developed an intuitive and detailed online platform to make citizens more involved in the initiatives of the city, to tell a project with a long history, to see it growing together. I certainly enjoyed every bit of it.